As quoted by Augustine in his A Treatise on Nature and Grace, Against Pelagius Book I, Chapter 8 - (Nicene and Post-Nicene Fathers 1, Vol. 5). Throughout the history of Christianity, there have been great intellectual wars waged in the name of, and for the sake of, truth. With a spirit of unrelenting zeal and intensity, councils have convened, creeds have been formulated, and in the wake of such ecclesiastical discipline, numerous anathemas have been hurled and not a few heretics have been denounced. In a pattern of dualistic theological conflict, we remember Athanasius and Arius, Cyril of Alexandria and Nestorius, Patriarch Photius and Pope Nicholas, Luther and Leo X, Calvin and Arminius, and a host of other saints and heretics whose interpersonal theological disputes and disagreements caused great disruptions within the "one, holy, catholic, and apostolic Church," against which not even the gates of hell could prevail. Not least among these, however, was the great disputation between Augustine and Pelagius, two contemporary thinkers who would clash at the dawn of the fifth century (ca. 411), the former being the bishop of Hippo in North Africa who once experientially fathomed the depths of utter sin and depravity, the latter being a monk from the isles of Britain who lived uprightly in increasing integrity and piety, apparently untainted by the sin and moral evil which prevailed in the world. Thus, with no orthodox anthropological doctrine yet defined by the end of the fourth century, the Eastern Church being consumed with christological and theological schisms and controversies, perhaps it seemed fit that divine providence might bring together two antithetical Western thinkers from distant lands, and thus forge a scriptural anthropology of grace which would glorify God in His soteriological work and thus exalt the cross of the Saviour, Jesus Christ. The time of the Pelagian Controversy was a time of great change, especially with regard to geopolitical and hegemonic change. Indeed, the sands of Rome were shifting and the lines of provincial demarcation were being erased and redefined. Now although the fall of the western Roman Empire would not arrive until the year 476, when the Germanic tribal chieftain Odoacer would depose the emperor Romulus Augustulus, the pillars of Rome had been crumbling for nearly a century under the consistent and ferocious attacks of the barbarian hordes. After the Visigoths defeated the Emperor Valens and his Roman legions at Adrianople in 378, the legend of Roman invincibility died on the battlefield along with the emperor and his legions, and thus, a century of chaos was now ushered in.1 Vandals, Ostrogoths, Huns, Burgundians, Angles, Saxons, Jutes, and others began to tear away at the flesh of the dying beast which was once Rome, seizing territories at will, and thus driving the once invincible armies of Rome into evacuation and retreat. The western provinces of Rome were swallowed up by the gluttonous barbarians, and the former provinces became the new strongholds of alien cultures. Now because of the geopolitical instability of the times, especially around the perimeters of the empire, Pelagius, the British monk, migrated to Rome in about 380-384.6 There, he studied law, perfecting his polemical skills, and he fused his monastic legalistic piety with his clear intellect, striving all the while to effectuate some change in the corrupt morals of societal Rome. Also, during his time in Rome, Pelagius befriended one, Celestius, who would later become a champion of the Pelagian system. Indeed, it was from the latter that the controversy would take its rise, for as Philip Schaff notes, it was Pelagius who was "the moral author of the system," while Celestius would be regarded as "the intellectual author. "7 At the time of Alaric's march against Rome in 410, however, both Pelagius and Celestius would take flight from Rome's impending doom, and set sail for the shores of sanctuary in North Africa. Whereas Pelagius would mark a brief stay in North Africa, leaving for Palestine in 413 in order to forward his anthropologcal views there, Celestius would stay behind in Carthage and seek orders for the presbytery. Ironically, it would be from the latter event that the Pelagian Controversy would then arise. So with regard to this debate, i.e. the Pelagian Controversy, the developmental backgrounds of the two men are of immense importance. How each man arrived at his own respective system was not entirely due to scriptural exegesis and inference, but also due to the experiences and essential psychological profiles of the two men in their developmental years. Now with regard to Pelagius (ca. 350-425), there is scant evidence about his early life, although we can presume that he came from a noble family since he was highly educated in language (speaking both Latin and Greek) as well as in the cultural arts. As we noted earlier, he was always known to be a man of great individual piety, morality, and self-discipline. Even Augustine, though he condemned the Pelagian doctrine as error, spoke well of Pelagius's exemplary character. So, from various writings, we can deduce that Pelagius was a moralist who lived an austere, puritan Christian life, a man who believed from his own experience that all men possessed an absolute "freedom of the will" and self-determination toward the holy life. As a man, then, Pelagius is to be commended for his loyalty to the moral teachings of the Saviour; as a theologian, however, as we shall see later, Pelagius is to be denounced as one who emphasized a form of legalism which denied a preeminent role to the grace of God. Now with regard to Augustine of Hippo (354-430), if we were to examine his developmental years, we would find a man of contrary psychological character to that of Pelagius. Whereas in the life of Pelagius we see stability and concrete affinity to the Christian religion, in the person of Augustine we see a young man "tossed about to and fro" on the waves of various worldviews and thought systems. Even in his youth an active mind, it was when Augustine read Cicero's Hortensius that he began his quest for wisdom, and in the words of the patristic scholar Johannes Quasten, "his long and tormented interior evolution began. "9 And though he received a Christian education in his earlier years - his mother Monica being a pious Christian - Augustine had read the scriptures with little or no profit. So, appealing to his rationalistic tendencies, Augustine pursued other forms of thought until he finally rested in the religion of Manichaeism in its heterodox Christian form, which essentially articulated (1) a form of rationalism which excluded faith, (2) a purely spiritual form of Christianity which excluded the Old Testament, and (3) a radical metaphysical dualism which solved the problem of evil.10 For about a decade, then, Augustine would align himself with Manichaeism and maintain a strict anti-Christian bias. But after reading the writings of certain academics and philosophers such as the Platonists, Augustine recognized the irrational and mythical aspects of certain Manichaean metaphysical presuppositions, and he thus fell into the realm of skepticism. Augustine, then, was a master of logic and rhetoric, a very successful and rising star, but he was deeply unhappy and discontented. Ironically, or providentially, a very learned and eloquent man also resided in Milan, a spiritual man whose character and intellect transcended even the greatest minds of the era - his name was Ambrose, the bishop of Milan. Not only was Ambrose a highly skilled rhetorician, but he was a master of classical philosophical works as well, a true scholar of his age. Most importantly, however, Ambrose possessed the soul of a pastor who deeply cared for the Church, not only in an intellectual polemical sense, but in an ethical and moral sense as well. (Ambrose's denunciation of Theodosius after the massacre at Thessalonica is legend.) Thus, it would not be long before Augustine would hear of Ambrose, and subsequently desire to listen to his powerful homilies which were rich with theological and philosophical insights. Yet although Ambrose would have a profound effect on the "spiritual restlessness" of Augustine, it would be by a simple act of faith in the Saviour that Augustine would enter into the kingdom of God and be baptized into the Church. And after his baptism by the great Ambrose in 387, he decided to abandon his career as a professor of rhetoric, along with the renunciation of his formal lifestyle, and instead, return to Hippo in North Africa with his son and his mother in order to found a monastic community. In 385, however, Augustine would become bishop of Hippo, a post which he would retain his entire life, a post from which he would launch his timeless theological and polemical writings. In sum, then, this is the story of Augustine's radical metamorphosis from hedonistic paganism to the faith of Jesus Christ. In discussing the Pelagian Controversy, it is critical to point out that the Church, until that time, had not really dealt with the issue of anthropology in any depth. If we could ascribe any systematized doctrine to the Eastern Chuch, we could say that the Greek Fathers, especially those at Alexandria, were so concerned with the cosmological dualism and fatalism of earlier Gnostic systems, that the anthropology which was developed in the East stressed a "synergism" which attributed salvation to the work of the human will alongside the work of divine grace.13 Moreover, as we stated in our introduction, the Greek Fathers of this era (e.g., Athanasius, the Cappadocians, John Chrysostom, Cyril of Alexandria, et al. ), were consumed with christological and theological subordinationist issues, issues of course which would prove to be of immense importance to the historic Christian faith. It can also be said, at this point, that although the Eastern Church joined the Western Church in the condemnation of Pelagianism at the Council of Ephesus in 431 (along with the condemnation of Nestorius), the anathema in no way implied an acceptance of the Augustinian anthropology.14 Salvific theology in the Eastern Church had inferred from the words of Athanasius the doctrine "Theosis" (sometimes rendered deification or divinization), the words of Athanasius being "He became what we are, so that He might make us what He is." Certainly, the concept of Theosis is not to be confused with far eastern metaphysical monistic ideas such as the Vedantic idea of absortion into Brahman, but rather, the idea is inferred from incarnational theology and certain scriptures such as "You have become partakers of the divine nature" (2 Pet 1:4). So as we can see, the Eastern Church perceived anthropological and soteriological ideas in a much different way than the Western Church did. Much of the divergence, however, can be ascribed to the differing languages of the Eastern (Byzantine) and Western (Roman Catholic) churches, i.e. the languages of Greek and Latin respectively. As one scholar remarked with some wit, "They didn't understand each other because they simply didn't 'understand' each other." So, although the Byzantine and Roman churches were united at Ephesus in 431 in their condemnation of Pelagianism, we can see that there was an existing chasm with regard to their respective premises regarding anthropology and hamartiology. In lieu of this distinction, then, let us now return to our discussion of the Pelagian system. Now the major proponents of Pelagianism were, Pelagius, Celestius, and Julian, the latter being a bishop at Rome who would become a fierce opponent of Augustine and thus battle against the Augustinian anthropology to the very day of his death. From the perspective of intellectual appreciation, it must be admitted that these three pillars of Pelagianism were no mean scholars, but rather, they were quite learned and orthodox with respect to their christology and theology. So, at this point, then, let us ask the question, "What exactly was Pelagianism, and what were the major tenets upon which the doctrine rested?" 1. "Adam was created mortal and would have died whether he had sinned or not sinned." 2. "The sin of Adam injured only him, not the human race." 3. "The law leads to the kingdom, just as the gospel does." 4. "Even before the coming of Christ there were men without sin." 5. "Newborn infants are in the same state in which Adam was before his transgression." Although the six propositions of Celestius are concise in form, certain inferences can be drawn with respect to some major heterodox theological ideas, and for this reason Pelagianism was first condemned at a synod in Carthage in 411, Celestius refusing to recant the errors ascribed to him, and then at the Synod of Diospolis in 415, the Council of Carthage in 418, and the final, universal anathema pronounced at the Council of Ephesus in 431. Now, first and foremost in the mind of Pelagianism was the idea of "the freedom of the will," namely, that man has an absolute power over his own will, and that in each instance where man has the opportunity to make a moral decision he has the power to choose between good and evil, between the holy and the unholy.17 In the view of the Western church, this Pelagian idea seemed to diminish, or altogether exclude the doctrine of grace and instead imply a self-determinative principle within man which would make possible the achievement of a sinless life without the grace of God. Thus, the concept of "posse non peccare" (i.e., the possibility of not sinning) was not limited to Adam before the fall, but was possible for all mankind since there was no generational transmission of Adamic guilt, i.e. original sin. In the Pelagian system, then, men are born into the world much in the same way that Adam was, i.e., innocent, a tabula rasa upon which the self-determinative and uninterrupted will of man would write his own moral and salvific story. Through the fall of Adam, then, there was no hereditary corruption of the entire human race, but rather, Adam simply provided a bad example in his autonomous disobedience to the will of God. Accordingly, it is not the Adamic corruption of the human race which is the fountain of sin, but rather, the increasingly entropic socio-psychological conditions which provide the negative impluses for the sins of mankind. The most devastating aspect of the Pelagian system, however, was that it seemed to controvert the explicit teaching of the Apostle Paul in Romans 5. The natural rendering of the text, especially Rom 5:12-21, seems to convey the idea that Adam was the originator of sin, introducing it along with its consequence, "death," into the human race, and that Christ, the Second Adam, was the source of justification, introducing "life eternal" to all those who believe in Him. The Pelagians were fully cognizant of this difficultly in their system, and they attempted to construct an alternative hermeneutic which would support their doctrine. Pelagius, for instance, argued that the term "all" in Rom 5:12 was simply a general statement rather than a universal one, and that such pre-Christian saints as Abel, Enoch, Abraham, Isaac, Joseph, Samuel, Elijah, Daniel, and even Mary were free from a life of sin.19 With regard to this aspect of the Pelagian view, Schaff makes some meaningful comments: "In this system Paul's exhibitions of Adam and Christ have no meaning. If the sin of Adam cannot be imputed , neither can the merit of Christ. "20 In sum, then, the exposition of Rom 5 would deal a crushing blow to the doctrine of Pelagianism. 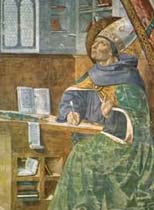 In the second decade of the fifth century, when Augustine understood the task of refuting the Pelagian anthropology, he had already engaged in two disputations of critical magnitude, i.e., the heresy of Manichaeism and the Donatist controversy; so Augustine was no stranger to apologetics and polemical writing. When the Pelagians entered into the theological forum in which Augustine was a proven champion, they had no idea of the level of genius with which they would have to contend. As in many instances, the contemporaries of a great man (whether he be a thinker or an artist) have only a limited appreciation of the true level of his brilliance - only historians can look back in retrospect and truly understand the implications of a man's genius. Certainly, Pelagius, Celestius, and Julian (the traid of Pelagian thought) had no idea that the man with whom they had to contend, would be regarded as one of the most important thinkers since the Apostle Paul, and moreover, that an entire millennium of philosophic thought would be declared as "The Augustinian Age." In sum, the Pelagian view, though set forth by no mean scholars, would be cut down by the sharp blade of Augustine's theological, philosophical, exegetical, and rhetorical edge. "For just as through one man sin entered the world, and death through sin; thus, death spread to all men (v. 12) . . . For as by one man's disobedience many were made sinners, so also by one Man's obedience many will be made righteous. Sin came into the world through one man and death through sin, and so death spread to all men because all men sinned (v. 19) . . ."
Now as we stated in our introduction, there was no theological or hermeneutical consensus regarding this Pauline text in the ante-Nicene, Nicene, or post-Nicene churches. Apart from Irenaeus, the second century (Western) bishop of Lyons who exegeted much of his recapitulation theology from the text of Rom 5 (cf. Against Heresies), we know that the early Greek Fathers, though conscious of humanity's universal solidarity with Adam's fall, never espoused any doctrine of inherited guilt (i.e., "original sin"). Indeed, from the greater corpus of the writings of the Eastern Church we can infer this emphasis by the recurrent attitude toward the sinlessness of infants (cf. Clement of Alexandria, Gregory of Nyssa, Gregory of Nazianzus, John Chrysostom).25 But with all due respect to these great thinkers of the east, no one in the early church had plunged the depths and dissected the locus classicus to the extent of Augustine. For Augustine, the critical issue here was not necessarily the "freedom of the will" (although he elaborated on it in depth), but rather, the role of divine grace in human salvation.26 Critical to the thought of Augustine was the recapitulation motif of Paul, i.e. sin and death through Adam, and justification and life through Jesus Christ. In the writings and teachings of the Pelagians, Augustine perceived a dangerous denigration of both divine grace and salvific theology. For him, unless there was a solidarity (or oneness) with the nature of Adam, there could be no solidarity (or oneness) with the person of Christ. Thus, for Augustine, sin was not merely a moral decision of the will, but rather, a condition of human nature itself; and this sinful nature (i.e., original sin) was transmitted to the entire human race through seminal generation (i.e., the theory of Traducianism which originated in the thought of Tertullian). In Augustinian thought, the transforming power of Christ works within the heart of man, and first, cleanses the Christian through the forgiveness of sins, restoring the communion between man and God, and then begins to manifest itself outwardly through the life of the believer, reflecting the image and character of Christ. For Augustine, the ultimate manifestation of this image was one's love for his fellow man. But none of this could occur without the unmerited grace of God; this is sola gratia. And athough not necessarily identical to the Protestant exposition, it is still a powerful emphasis on the grace of God, something which, in an age of asceticism, was revolutionary in one sense, but in another, it was simply a return to Pauline theology. In this paper, I have used as my outline the motif of Pelagian thesis, Augustinian antithesis, and Semi-Pelagian synthesis. Although this is a Hegelian paradigm (i.e. the dialectical method), let me say that it is not entirely loyal to Hegel's idea of the triadic paradigm. Rather, it is representative of the commonly misunderstood idea (or caricature) of the Hegelian method, i.e. that thesis and antithesis lead to a higher unity which is synthesis. According to this understanding of the Hegelian triad, the common ideas of the thesis and antithesis are synthesized, while the uncommon elements are laid aside. However, a true philosophic understanding of Hegel's method will reveal that the contradictions of the thesis and antithesis must be incorporated into the synthesis as well. Hegel articulates this in detail in his Phenomenology of Spirit. Nevertheless, in analyzing the historical outcome of the Pelagian Controversy, it occured to me that the caricatured understanding of Hegel's system appropriated itself perfectly. For, in the post-Augustinian doctrine of Semi-Pelagianism, the contradictions of Pelagius and Augustine are not incorporated into a higher unity, but rather, the contradictions are laid aside and the common ideas are thus integrated. With this said, then, let us conclude with a concise epilogue to the Pelagian Controversy, namely, the adoption of Semi-Pelagianism, its refutation, and the subsequent formulation of a Semi-Augustinian position. That John Cassian would become the champion of Semi-Pelagian thought is not surprising since his monastic background would be sympathetic to the Pelagian view. Indeed, not only did Cassian labor with Pelagius for a short time in Rome, but his seven year association with the monastic communities of Egypt provided a fertile breeding ground for the idea that the Christian life is an uphill determinative course with absolute resolution - in essence, a doctrine of works. It is true that Cassian rejected certain elements of the Pelagian view (cf. his thirteenth Colloquy), affirming the absolute universality of human sin and necessity of divine grace, but it is also true that Cassian was a man of the Eastern Church who adopted the ideas of the Greek Fathers (who admittedly were better theologians and christologians than anthropologians), ideas such as Theosis, etc. In his own presdisposition to ascetic practice, he implicitly rejected certain Augustinian ideas such as predestinarianism and irresistible grace,31 which he felt were in conflict with Holy Tradition. So, in essence, Cassian discarded certain aspects of both the Pelagian and Augustinian systems, yet at the same time, he retained certain tenets which were central to both. In essence, according to the synthesis of Cassian, man is not totally depraved by the Adamic fall, yet he is greatly weakened; he is in dire need of God's grace, yet he must, through his own free will, co-operate with the offer of God's salvation.32 So, yes, the nature of man is corrupted by the fall in original sin, yet there is a role for human volition as well, especially with regard to initiating the process of salvation by desiring to receive the grace of God. In sum, then, this is Semi-Pelagianism in its essential form. It must be said, however, that this form of Semi-Pelagianism, though it prevailed in Gaul and in certain monastic communities, was eventually condemned by the Synod of Orange in 529. At Orange, the champion of Augustinianism, Caesarius of Arles drew from Prosper of Aquitane's A Book of Sentences from The Works of St. Augustine and systematically refuted the Semi-Pelagian position in a series of canons.33 Nevertheless, the absoulte monergistic predestinarianism of Augustine was also rejected (although gently), and a Semi-Augustinian position was formulated, a position upon which the Roman Church would stand for centuries. In the end, then, Augustine prevailed, and his ideas were further developed by later thinkers such as Gregory the Great and Thomas Aquinas. And in the Reformation, both Martin Luther and John Calvin would build their entire theologies on the doctrines set forth by Augustine. So, in a sense, the comment by Alfred North Whitehead bears a great truth - i.e., that "the rest of Western theology would be but a footnote to the ideas of Augustine." 1. T. Walter Wallbank and Alastair M. Taylor, Civilisation: Past and Present, 4th ed.,(Chicago: Scott, Foresman, and Company, 1960), p. 210. 2. St. Augustine, City of God, Trans. by Gerald G Walsh, S.J., et al. (New York: Image, 1958), Book I, Chapter 3. 3. Ibid., Book I, Chapter 8. 4. Ibid., Book I, Chapter 7. 5. Ibid., Book I, Chapter 7. 6. Johannes Quasten, Patrology: The Golden Age of Latin Patristic Literature from the Council of Nicea to the Council of Chalcedon, Trans. by Placid Solari, 4 of 4 vols., (Westminster. MD: Christian Classics, 1986), p. 465. 7. Philip Schaff, The History of the Christian Church: Nicene and Post-Nicene Christianity, 3 of 8 vols., (Grand Rapids: Eerdmans, reprinted 1995, original publisher Charles Scribner's Sons, 1910), p. 792. 8. Louis Berkhof, The History of Christian Doctrines, (Grand Rapids: Baker, 1937), pp. 131-32. 9. St. Augustine, The Confessions of St. Augustine, Trans. Rex Warner, (New York: Meridian), Book III, Chapter 4. 11. St. Augustine, The Confesssions, Book II, Chapter 1. 12. Ibid., Book 1V, Chapter 2. 15. Jaroslav Pelikan, The Christian Tradition: The Spirit of Eastern Christendom (600-1700), 2 of 5 vols. (Chicago: The University of Chicago Press, 1974), pp. 260-61. 17. Charles Hodge, Systematic Theology, 2 of 3 vols., (Grand Rapids: Eerdmans, reprint 1993), p. 153. 21. Michael P. McHugh, "Augustine" in The Encyclopedia of Early Christianty, ed. 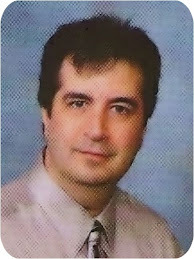 Everett Ferguson, (London: Garland, 1990), p. 124. 28. St. Augustine, Confessions, Book I, Chapters 2, 4. 30. McHugh, "Prosper of Aquitane," p. 760. 34. Alfred North Whitehead quoted in Pelikan, 1:330.